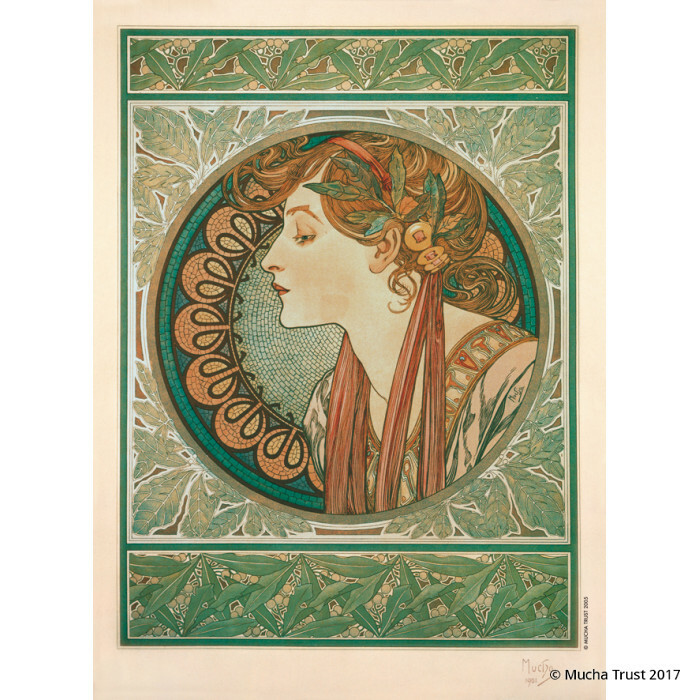 The position of the girl's head, with slightly lowered eyes, is repeated in three out of the glass panels Mucha designed the same year for the interior of the Boutique Fouquet. 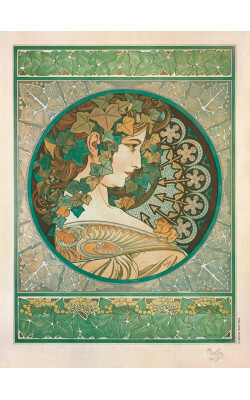 The leaf motif around the circular frame is reminiscent of the decorative frame of Zodiac (1896). This panel was later used as a calendar for the signage company Dewez. 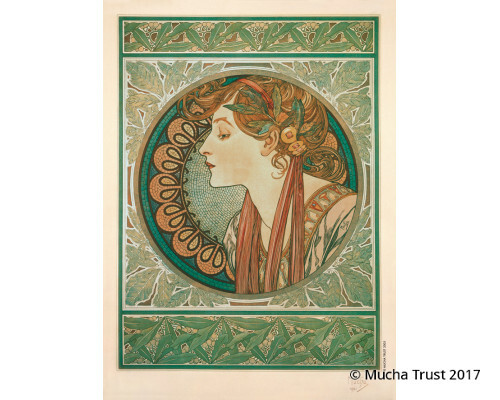 This panel recalls the poster Mucha designed for the dancer Lygie the same year and may well have be..